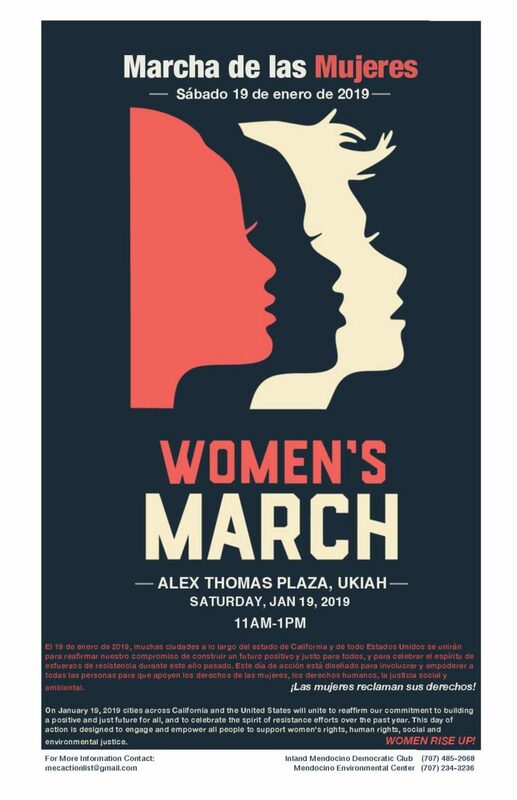 WILLITS, 1/14/19 -- There will be a Women's March, on Saturday January 19th, at Alex Thomas Plaza in Ukiah, from 11 a.m. to 1 p.m. 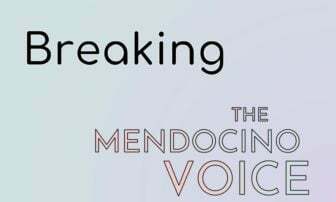 The first such march, in Mendocino, Washington D.C. and across the country, occurred days after President Trump's inauguration, as a protest. A subsequent march was held on the one year anniversary, and this will be the third such march. There will also be a march held on the coast, on N. Main Street in Fort Bragg, beginning at 11 am. You can read more details on the event's Facebook page. 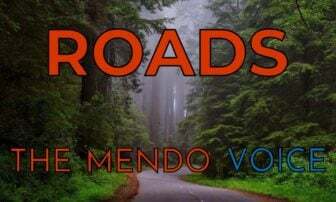 El 19 de enero de 2019, muchas ciudades a lo largo del estado de California y de todo Estados Unidos se unirán para reafirmar nuestro compromiso de construir un futuro positivo y justo para todos, y para celebrar el espíritu de esfuerzos de resistencia durante este año pasado. 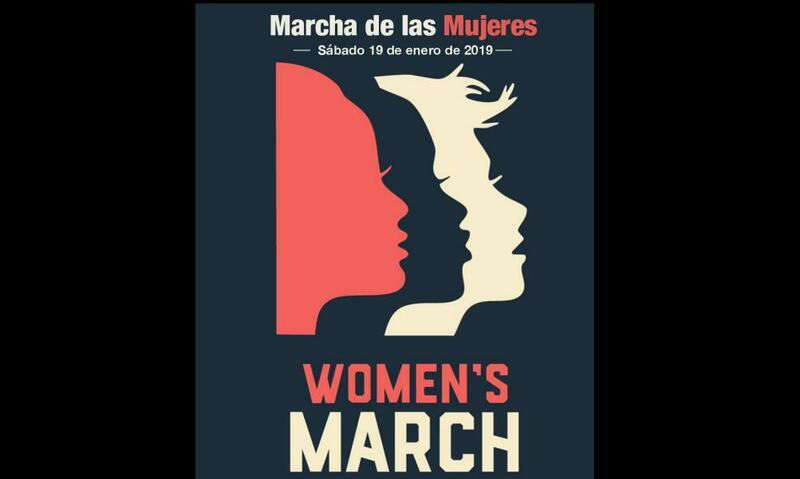 Este día de acción está diseñado para involucrar y empoderar a todas las personas para que apoyen los derechos de las mujeres, los derechos humanos, la justicia social y ambiental. ¡Las mujeres reclaman sus derechos! On January 19, 2019 cities across California and the United States will unite to reaffirm our commitment to building a positive and just future for all, and to celebrate the spirit of resistance efforts over the past year. This day of action is designed to engage and empower all people to support women's rights, human rights, social and environmental justice. WOMEN RISE UP!